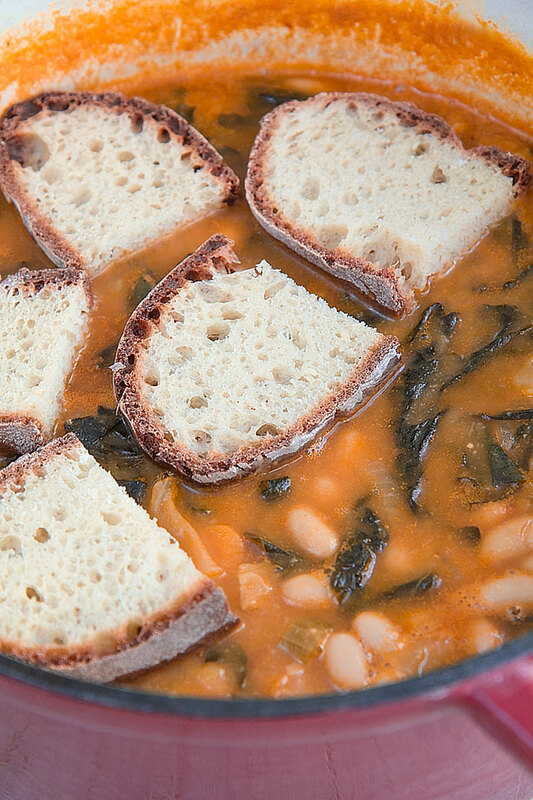 RIBOLLITA - Tuscan bread soup recipe & history - all you need to know! 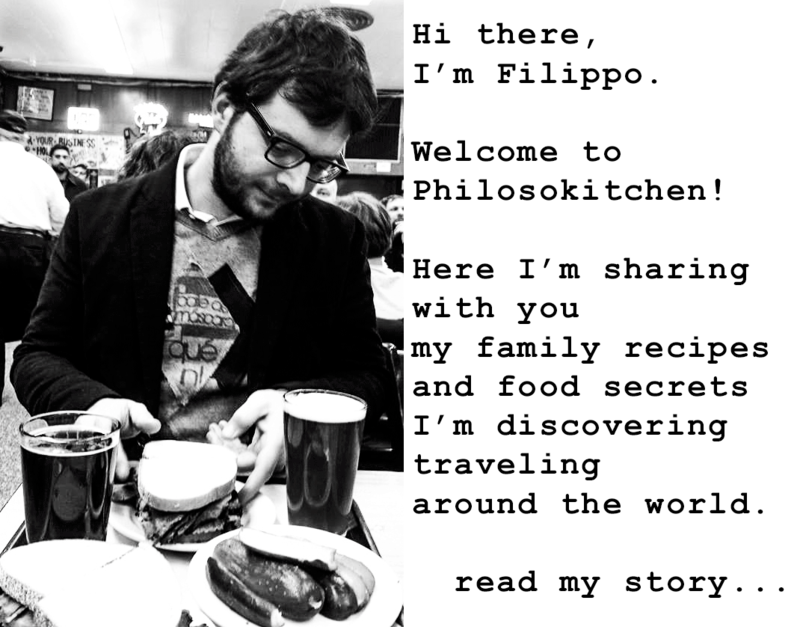 You are here: Home / Food Story / RIBOLLITA – Tuscan bread soup recipe & history – all you need to know! 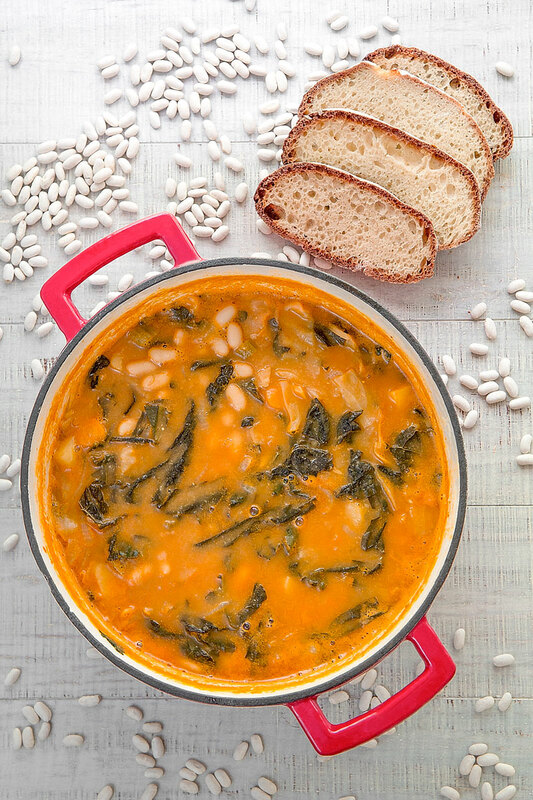 Along the Pappa al Pomodoro, The Ribollita is one of the most popular Italian bread soups. In the past, the bread soups had been the main meal for poor people since the Middle Ages. 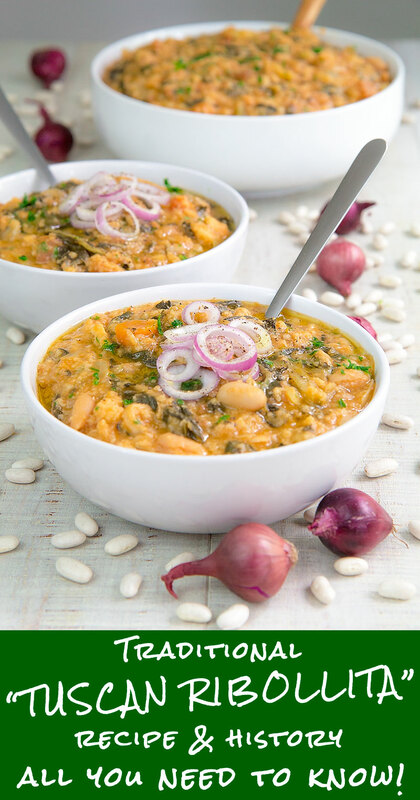 Particularly, the Ribollita had been prepared on Friday and consumed during the seven days after, re-heating it every day (Ribollita means in Italian re-heated). On religious grounds, the Friday bread soup, where prepared just with bread and vegetables. The legend tells the tradition of Ribollita started with a particular gift from the Noble people. In the Middle Ages, during the Lords feasts, it was common serving roasted and grilled meats on flatbread, used as plates. The leftovers bread were usually given to the servants, so they started to boil the bread along the vegetables available and wild foraging. The first written recipe of Ribollita was published in 1931 on the gastronomic book “Guida Gastronomica d’Italia del Touring Club”. Currently, the official recipe is vegan, but in the past, beside the Friday, it was usual to add some animal protein to make the soup richer. 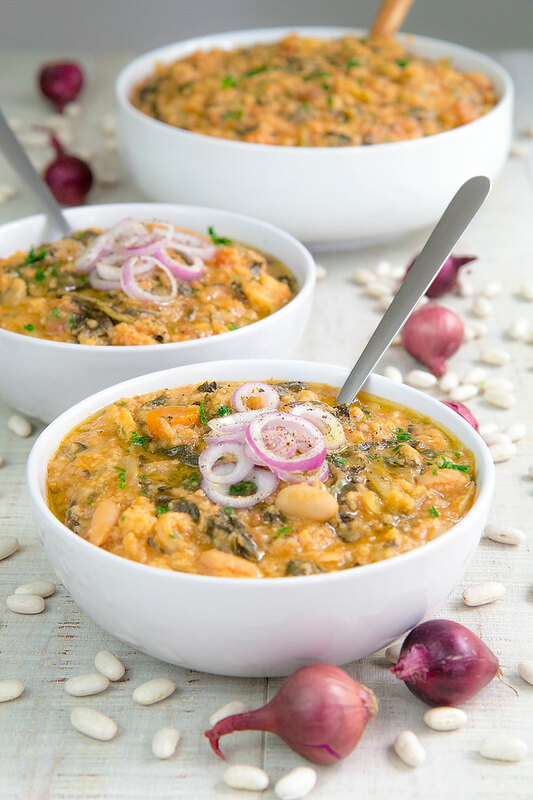 The Ribollita is traditionally served hot, but recently some chefs have started to propose the soup warm or at room temperature. The most used beans into the Ribollita are the Cannellini. Some people prefer Borlotti instead. Before the discovering of Americans, the bread soup had been prepared with Black eye peas beans. 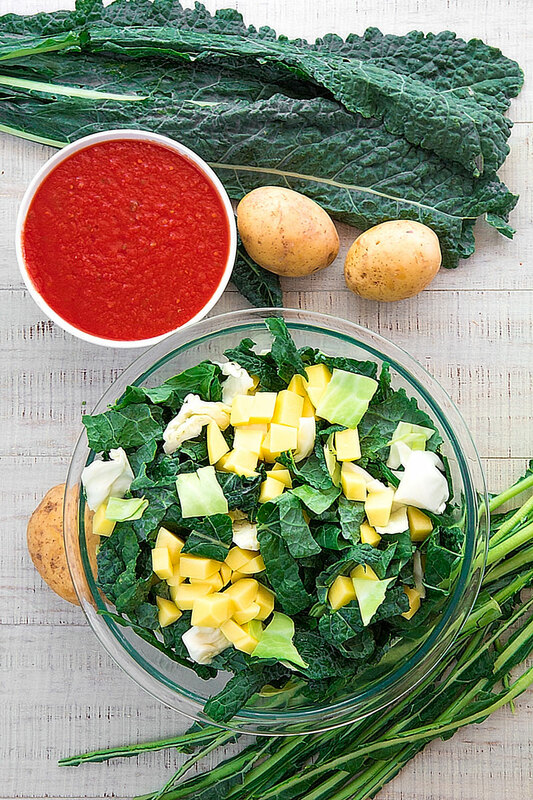 Along with the beans, kale and cabbage are two essential ingredients. You want to choose the Lacinato kale, while the cabbage could be either Savoy or Green. To obtain the original taste, you want to use exclusively Tuscan bread, best if a little stale. Indeed, the Ribollita requires bread made with just water and flour. Ciabatta bread is a decent alternative. The final taste of Ribollita is a mix of cooked and fresh flavors. To compensate the wintry flavors the Ribollita is garnished with extra-virgin olive oil, fresh parsley, and thin-sliced pearl or spring onions. If you have time and dried beans at hand, this is the tastier option. By the way, prime quality canned beans is a decent choice. 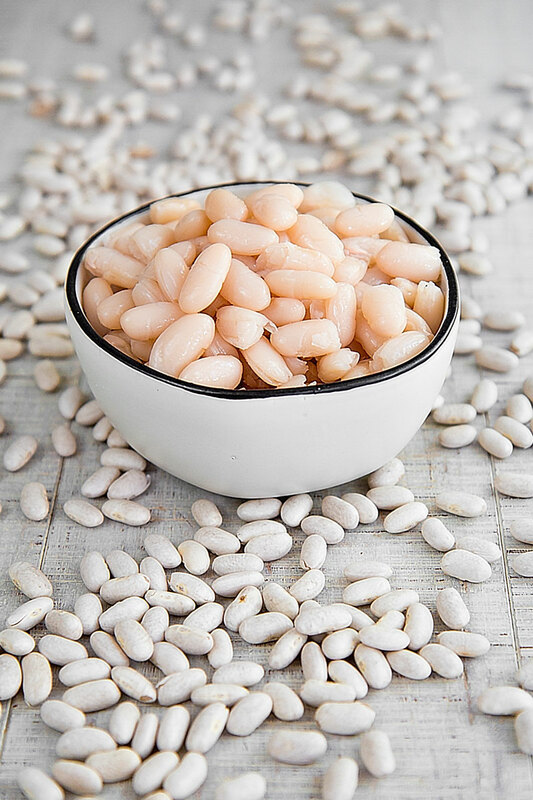 In case you decide to use dried beans, soak them 12 hours into fresh water, then rinse and boil into a 5 quarter pot filled with water about 1 hour, along with 1 bay leaf and 1 small onion peeled and quartered. Cook the beans until perfectly done. Save the bean broth. 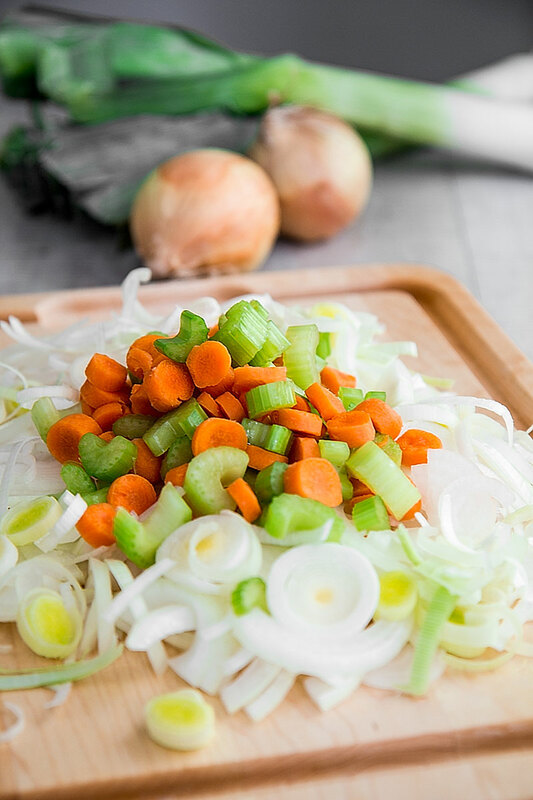 Let's prepare the Soffritto: the basic Italian sautéed vegetables. 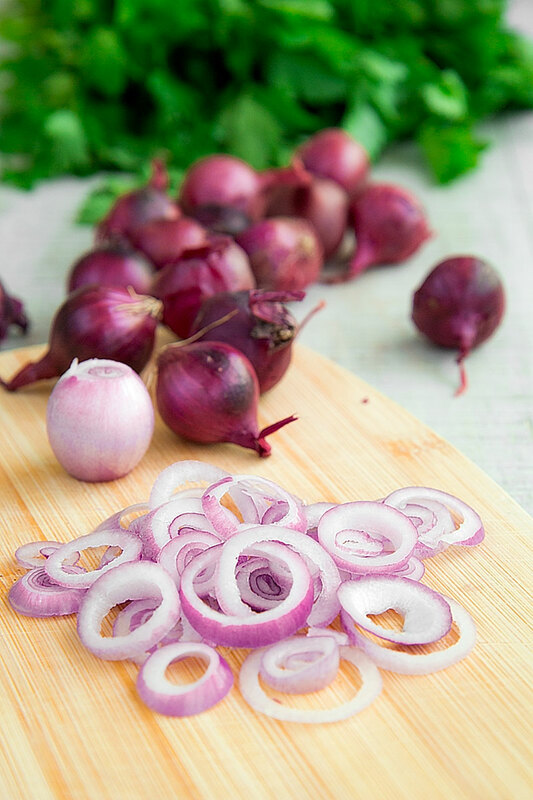 Peel and cut the onion into halves, then reduce into thin slices. After that, peel and slice the carrots, then peel and crush the cloves of garlic. Finally, slice the stick of celery. Now, pour all these vegetables into a 7 quarter thick-bottomed heavy pot, along with 4 tbsp of extra-virgin olive oil. Add a pinch of salt, and sauté over medium heat, stirring as needed, until the vegetables become tender and translucent, not golden brown. Eventually, add the double concentrated tomato paste, and sauté 5 minutes more. Rinse all the vegetables, then reduce the Lacinato kale and the cabbage into flakes of different sizes. After that, peel and dice the potatoes. Now, pour half of the amount of the precooked beans in a blender along with 1 cup of vegetable or beans broth, then mix until smooth and consistent. Once the Soffritto is ready, add the potatoes, kale, and cabbage, and sautè five minutes. Then, add the tomato puree, the thyme, the beans puree, and 6 cups of beans broth or vegetable stock. Now, reduce the Tuscan bread or Ciabatta into thin slices. Once the vegetable soup is ready, pour it into a bowl. Now, pour ⅓ of soup again into the pot, then place a layer of bread without overlapping. Proceed in the same way with the remaining soup and bread making more layers: you want the bread entirely covered by the soup. Eventually, let the bread soup reach room temperature, then store in the fridge at least 8 hours up to 3 days. 1 hour before serving, re-heat the Ribollita slowly, stirring to make it consistent: you want the soup dense and creamy. If necessary, add a little more broth. 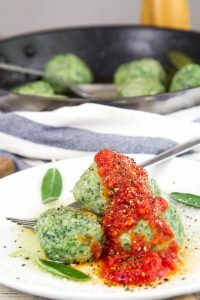 Once heated, add far from the flame 4 tbsp of extra-virgin olive oil, minced parsley, thinly sliced pearl onions, and black pepper, then serve immediately! « VICHYSSOISE RECIPE & HISTORY – all you need to know about the French leeks soup!